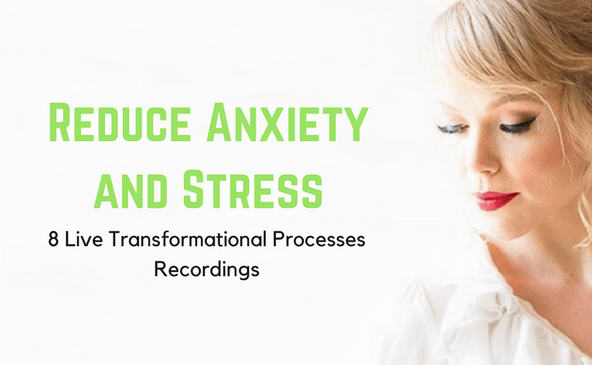 Free yourself from anxiety, stress and depression with these 8 Transformational Processes Recordings. Letting go of your anxiety will help your mind and body to relax and heal, allowing you to move forward in expanding your life. This transformation is all about all about receiving nourishment from more sources than you can imagine. Sometimes we limit our receptive ability and make rules or have expectations about where our income, energy and other important resources come from. Ditch the rules on how you receive. Let go of the monitoring of exactly how it is supposed to come in and imagine that the very breath you breathe and the actions you take actually nourish you on the deepest value. Exchange value on a whole new level and letting go of all the “over-giving” and not getting back patterns. Transform your output to give you tenfold return. You can be curious and allow multiple sources of nourishment in your life in new and unexpected ways. Perfect for: those who make too many rules about everything, energy disorders, chronic fatigue, lack of orgasms, eating disorders, binge eating and bulimia, passive-aggressive behaviour, perfectionists, control freaks, people pleasers, agitated when sitting still, nervous behaviour. This transformation is about busting through being stuck and anxious about what to do next when you feel overwhelmed and possibly even wondering how you can make ends meet with financially or with your capacity. Get in total alignment with your brain and body and spirit for your next step and create resilience in your toughest times. This is not just great for anxiety but also for your personal and business aspirations. Very appropriate for entrepreneurs. Notice where your body holds your reactivity and vulnerability. Transform it and let go of the idea that “something is wrong with me”/ Resolve now and express who you are to create your next step. Dissolve the “not self” and enter into true self. Every next step is a success. I choose success in every new situation. I choose a new response and I choose to stay curious. This transformation is a process to release all tension and energy from the body holding onto doubt and unworthiness causing anxiety. Raise your vibration with this transformation to step into a relaxed state of on every level. Tuning in to your flow which is unique and unlike anybody else’s. Dedicating this transformation to shift any part of you that is out of flow and out of sync. Get connected to the part of you that knows how to be in the flow, knows your worth and the part of you that recognises you are exactly where you are meant to be. Go on autopilot and allow your whole being to create all you need when you sleep! Indeed say ‘yes’ to create and deliver purposeful and powerful action that supports you in health, business, financial wisdom and emotional well being. This transformation is about letting go of the anxious behaviour of trying to plan and think your way to safety in any situation. Your mind can never truly keep you safe but dropping into your body and breath and allowing the supportive thoughts to serve you can keep you safe. This transformation is all about sitting in the discomfort and disengaging in sabotaging behaviour, reactivity and avoiding vulnerability. Let’s call the parts of you that hate being seen, the parts of you that you don’t want to feel. Much anxiety can be caused by suppressing emotion of self-dislike or shame or hiding something from the outside world. Ironically it is that part that if we make peace with that a stillness and solace can be found for the anxiety, anger or unexpressed rage. This is not about being confrontational or aggressive or even about trying to fix something in you. It is simply about using this transformation to all that part of you to just be and transform as it naturally will in its ever-changing evolution. Perfect for: suppressed expression and bottling up your true feelings, inner negative self-talk and self-conscious in social situations, eating disorders, binge eating and bulimia, self-harm, passive-aggressive behaviour, perfectionists, control freaks, people pleasers. This transformation is a process to create self-sufficiency in challenging times knowing that YOU are the resource which draws within and magnetises to you that which you need for stability and security. Finding a place of stability when everything around you seems chaotic. Letting go of needing it from someone else or expecting it from someone else. Perfect for: financial struggles and not knowing how your next bill will be paid, worried about work coming in for entrepreneurs, emotional turmoil when filing was thrown about by circumstances that are out of your control.